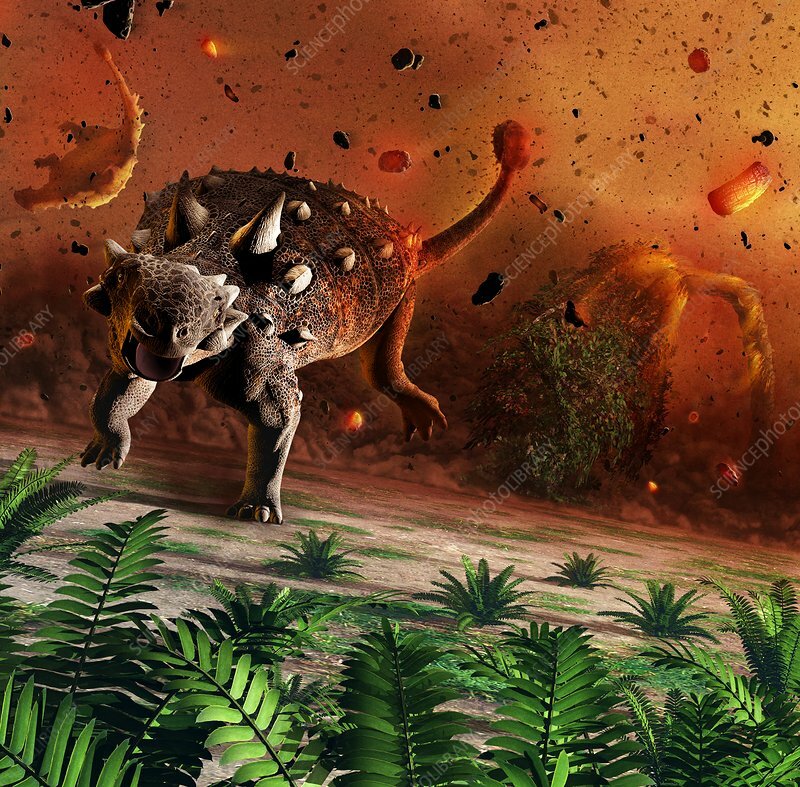 Artwork showing dinosaurs caught in the aftermath of an asteroid impact. The dinosaurs were wiped out 65 million years ago, an event provoked by the impact of a large asteroid or comet with the Earth. The impact of such an object, some 10km across, threw up an enormous amount of debris, blocking out the Sun for months or years. In this depiction, a blast wave moving outwards from the impact site incinerates everything in its path, carrying with it superheated and charred debris. These ankylosaurid dinosaurs (euoplocephalus), weighing several tons each, do not stand a chance against this devastating onslaught, lifted into the air by the powerful wind and burned alive.